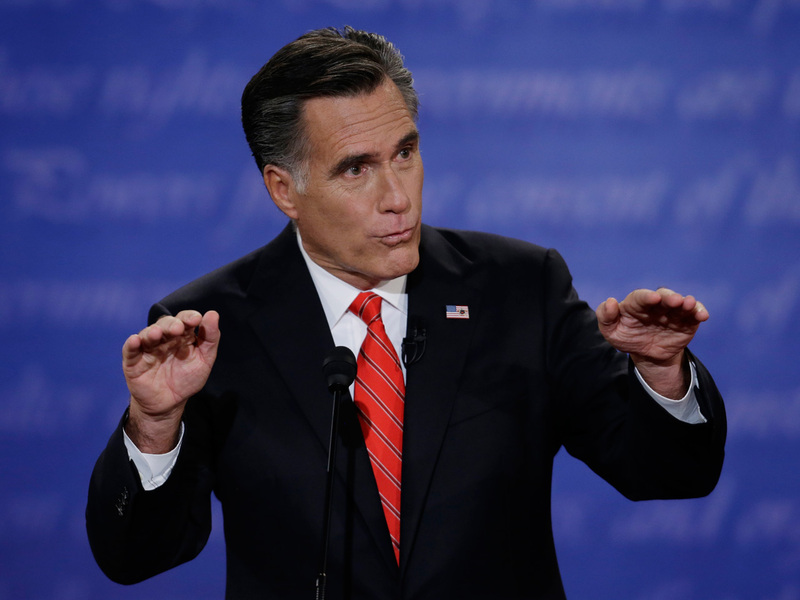 Perhaps most promising for Romney, whose upper-class income has helped stifle his ability to relate to the "average American," the percentage of those polled who said they felt the former Massachusetts governor cares about their needs and problems spiked from 30 percent pre-debate to 63 percent post-debate. President Obama also enjoyed a bump in that category, with 53 percent of voters saying they believed he cares about their issues before the debate, moving to 69 percent after the debate. The uncommitted voters polled are less likely than voters overall to identify with either of the two majority political parties. Six in 10 call themselves independents, 22 percent identify as Democrats, and 18 percent say they're Republicans. Uncommitted debate watchers saw Mitt Romney as the winner on handling the economy (60 to 39 percent) and the deficit (68 to 31 percent), just as they did before the debate. These voters also think Romney will do a better job on taxes (52 to 47 percent), a reversal from before the debate, when uncommitted voters gave the president a 52 to 40 percent advantage on that. The president still leads on Medicare, 53 to 45 percent. Uncommitted voters include both undecided voters and those who say they have a candidate preference, but could still change their minds. Before the debate, 23 percent favored President Obama and 22 percent favored Romney, while 50 percent were still undecided. But while voter preference for Mr. Obama changed little, after the debate support for Romney increased 12 points. This CBS News poll was conducted online using GfK's web-enabled KnowledgePanel(r), a probability-based panel designed to be representative of the U.S. population. The poll was conducted among a nationwide random sample of 523 uncommitted voters who have agreed to watch the debate. Uncommitted voters are those who don't yet know who they will vote for, or who have chosen a candidate but may still change their minds. GfK's KnowledgePanel participants are initially chosen scientifically by a random selection of telephone numbers and residential addresses. Persons in selected households are then invited by telephone or by mail to participate in the web-enabled KnowledgePanel(r). For those who agree to participate, but do not already have Internet access, GfK provides at no cost a laptop and ISP connection.